A spasm is described as a sudden, involuntary contraction of a muscle, a group of muscles, or a hollow organ, or a similarly sudden contraction of an orifice such as the mouth or eyes. A spasm may be experienced with a sudden burst of pain, but is usually harmless, lasting for a short period. Spasmodic muscle contraction may also be due to a large number of medical conditions. By extension, a spasm is a temporary burst of energy, activity, emotion, stress, or anxiety. A muscle spasm is different than a muscle twitch. A muscle twitch or fasciculation is uncontrolled fine movement of a small segment of a larger muscle that can be seen under the skin. 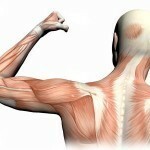 Muscles are complex structures that cause movement in the body. There are three types of muscle in the body; heart muscle that pumps blood (cardiac muscle), skeletal muscle that moves the external body parts, and smooth muscle that move portions of hollow structures inside the body. Skeletal muscles are directly attached to bone or attached by a tendon. When the muscle contracts, the associated structure moves as in the lifting of an arm. Most of these muscles are controlled by the brain. The contraction of a skeletal muscle requires numerous steps within cells and fibers that require oxygen, electrolytes, and glucose, which are supplied by the bloodstream. Smooth muscle is located in the walls of hollow internal structures in the body, like the arteries, intestines, bladder, and iris of the eye. They tend to circle the structure and when they contract, the hollow structure is squeezed. These muscles contraction are involuntary and are controlled by the unconscious part of our brain function using the autonomic nervous system. Smooth muscle has the same basic contraction mechanism as skeletal muscle, though different proteins are involved. Normal voluntary muscle contraction begins when electrical signals are sent from the brain through the spinal cord via nerve cells called motor neurons. At the muscle, chemicals released by the motor neuron stimulate the internal release of calcium ions from stores within the muscle cell. These calcium ions then interact with muscle proteins within the cell, causing the proteins (actin and myosin) to slide past one another. This motion pulls their fixed ends closer, thereby shortening the cell and, ultimately, the muscle itself. Recapture of calcium and unlinking of actin and myosin allows the muscle fiber to relax. Abnormal contraction may be caused by abnormal activity at any stage in this process. Spasms can occur when a muscle is overused and tired, which may result from it being overstretched or being held in the same position for an extended period of time. This type of fatigue causes the muscle cell to run out of energy and fluid, developing a forceful contraction. This spasm may involve part of a muscle, the whole muscle, or even adjacent muscles. Pain and fatigue usually signal that it is time to rest. Ignoring or overriding those warning signals can lead to such severe energy depletion that the muscle cannot be relaxed, causing a cramp. Writer’s cramps are similarly caused by prolonged use of the small muscles in the hand. Dehydration and depletion of electrolytes may lead to muscle spasm and cramping. Muscle requires adequate water, glucose, sodium, potassium, calcium, and magnesium to allow the proteins within muscle cells to interact and develop an organized contraction. Abnormal supply of these elements can cause the muscle to become irritable and go into spasm. Loss of fluids and salts can disrupt ion balances in both muscle and nerves. This can prevent them from responding and recovering normally, and can lead to cramps. Atherosclerosis or narrowing of the arteries may also lead to muscle spasm and cramps. It occurs when plaque builds up in the arteries resulting in narrowed or blocked arteries; this results in insufficient blood supply and nutrients to the body’s muscles. Systemic illnesses like diabetes, anemia, kidney disease and thyroid and other hormone issues are also potential causes of muscle spasms. Diseases such as multiple sclerosis, stroke, cerebral palsy, neurodegenerative diseases, spinal cord injury, and nervous system poisons such as tetanus, can be associated with muscle spasm as disruption of brain mechanisms and overly sensitive motor neurons may result from damage to the nerve pathways. Dystonias are movement disorders where groups of muscles forcefully contract causing twisting and repetitive movements, or the inability to have a normal posture as a result of muscle spasm and cramping. The symptoms can be mild or aggressive. Examples of this type of muscle spasm include torticollis (where the neck muscles spasm and cause the head to turn to one side).